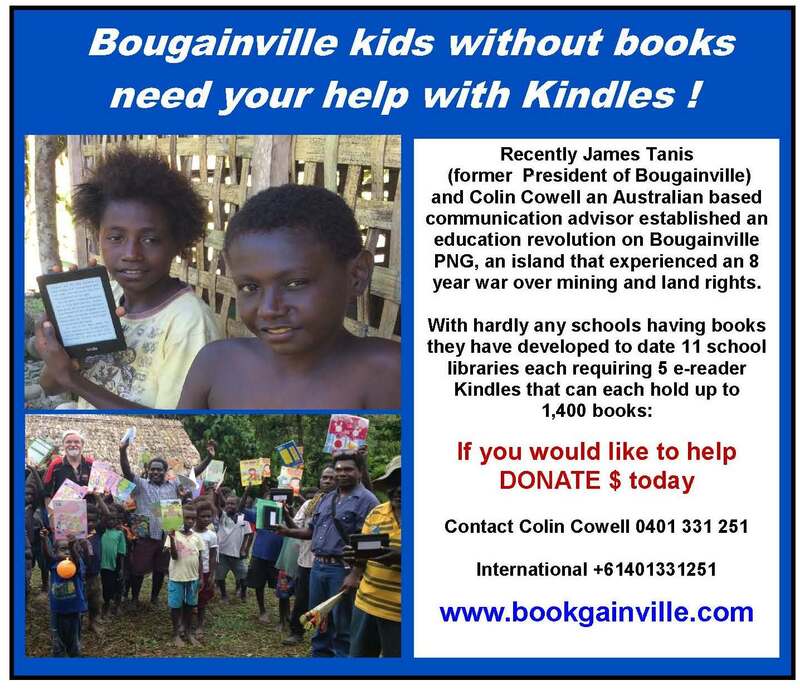 They have been labelled the ‘lost generation’ due to their risk of being marginalised after missing out on education during the Bougainville civil war (1989-1998), known locally as the ‘Crisis’. 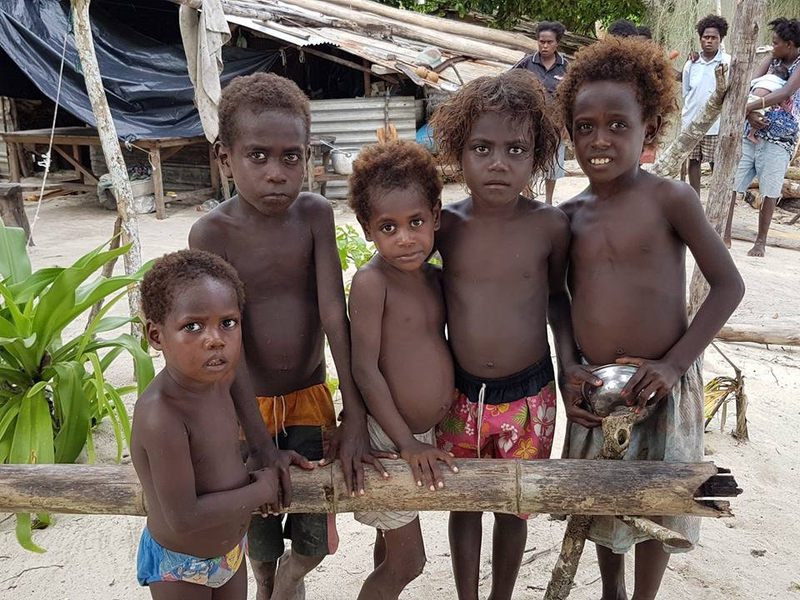 But in Hako constituency, where an estimated 30,000 people live in villages along the north coast of Buka Island, North Bougainville, a local women’s community services organisation refuses to see the younger generation as anything other than a source of optimism and hope. “There were no schools, no teachers and no services here and we had no food to eat. I saw people killed with my own eyes and we didn’t sleep at night, we were frightened.” — Gregory Tagu, who was in fifth grade when the war broke out. Youth comprise about 60 percent of Bougainville’s estimated population of 300,000, which has doubled since the 1990s. The women’s collective firmly believes that peace and prosperity in years to come depends on empowering young men and women in these rainforest-covered islands to cope with the challenges of today with a sense of direction. One challenge, according to Gregory Tagu, a youth from Kohea village, is the psychological transition to a world without war. “Nowadays, youths struggle to improve their lives and find a job because they are traumatised. During the Crisis, young people grew up with arms and knives and even today they go to school, church and walk around the village with knives,” Tagu explained. Tens of thousands of children were affected by the decade-long conflict, which erupted after demands for compensation for environmental damage and inequity by landowners living in the vicinity of the Panguna copper mine in the mountains of central Bougainville were unmet. The mine, majority-owned by Rio Tinto, a British-Australian multinational, opened in 1969 and was operated by its Australian subsidiary, Bougainville Copper Ltd, until it was shut down in 1989 by revolutionary forces. The conflict raged on for another eight years after the Papua New Guinea Government blockaded Bougainville in 1990 and the national armed forces and rebel groups battled for control of the region. Many children were denied an education when schools were burnt down and teachers fled. They suffered when health services were decimated, some became child soldiers and many witnessed severe human rights abuses. Tagu was in fifth grade when the war broke out. “There were no schools, no teachers and no services here and we had no food to eat. I saw people killed with my own eyes and we didn’t sleep at night, we were frightened,” he recalled. Trauma is believed to contribute to what women identify as a youth sub-culture today involving alcohol, substance abuse and petty crime, which is inhibiting some to participate in positive development. They believe that one of the building blocks to integrating youths back into a peaceful society is making them aware of their human rights. In a village meeting house about 20-30 young men and women, aged from early teens to late thirties, gather in a circle as local singer Tasha Kabano performs a song about violence against women. Then Anna Sapur, an experienced village court magistrate, takes the floor to speak about what constitutes human rights abuses and the entitlement of men, women and children to lives free of injustice and physical violations. Domestic violence, child abuse and neglect were key topics in the vigorous debate which followed. But social integration for this age group also depends on economic participation. Despite 15 years of peace and better access to schools, completing education is still a challenge for many. An estimated 90 percent of students leave before the end of Grade 10 with reasons including exam failure and inability to meet costs. “There are plenty of young people who cannot read and write, so we really need to train them in adult literacy,” Elizabeth Ngosi, an HWC member from Tuhus village declared, adding that currently they don’t have access to this training. Similar to other small Pacific Island economies, only a few people secure formal sector jobs in Bougainville while the vast majority survive in the informal economy. At the regional level, Justin Borgia, Secretary for the Department of Community Development, said that the Autonomous Bougainville Government is keen to see a long-term approach to integrating youths through formal education and informal life skills training. District Youth Councils with government assistance have identified development priorities including economic opportunities, improving local governance and rule of law. In Hako, women are particularly concerned for the 70 percent of early school leavers who are unemployed and in 2007 the collective conducted their first skills training program. More than 400 youths were instructed in 30 different trade and technical skills, creative visual and music art, accountancy, leadership, health, sport, law and justice and public speaking. Two-thirds of those who participated were successful in finding employment, Gano claims. “Some of them have work and some have started their own small businesses….Some are carpenters now and have their own small contracts building houses back in the villages,” she said. Tuition in public speaking was of particular value to Gregory Tagu. “I have no CV or reference, but with my public speaking skills I was able to tell people about my experience and this helped me to get work,” Tagu said. Now he works as a truck driver for a commercial business and a technical officer for the Hako Media Unit, a village-based media resource set up after an Australian non-government organisation, Pacific Black Box, provided digital media training to local youths. Equipping young people with skills and confidence is helping to shape a new future here and further afield. HWC’s president is particularly proud that some from the village have gone on to take up youth leadership positions in other parts of Bougainville, including the current President of the Bougainville Youth Federation. There are strong indications that the benefits of mobile reading like kindles are long-lasting and far-reaching, with the potential to improve literacy, increase education opportunities and change people’s lives for the better.